The festivities are beginning, darlings, and this is going to be one unstoppably beautiful Thursday! 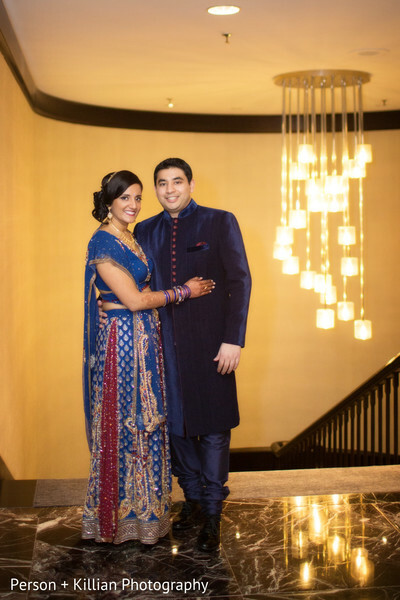 This enchanting East Coast event kicks off with a sangeet done up in navy blues, snowy whites, and fabulous fuchsias. Unique Weddings by Alexis is on hand to ensure that this posh party is nothing short of sensational with dazzling design while Flou(-e)r is taking the floral and decor to new heights! 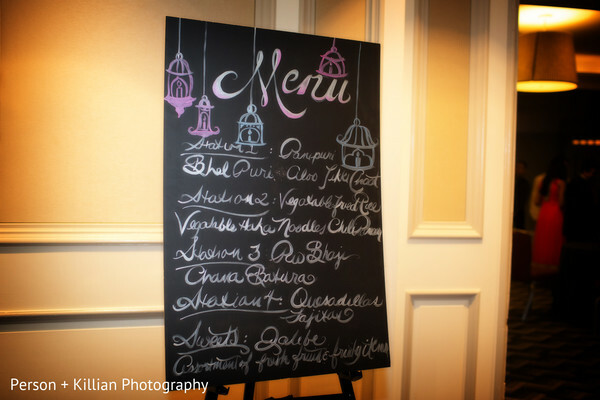 Person + Killian Photography is snap, snap, snapping away as the party unfolds with a delicious menu and plenty of dancing. 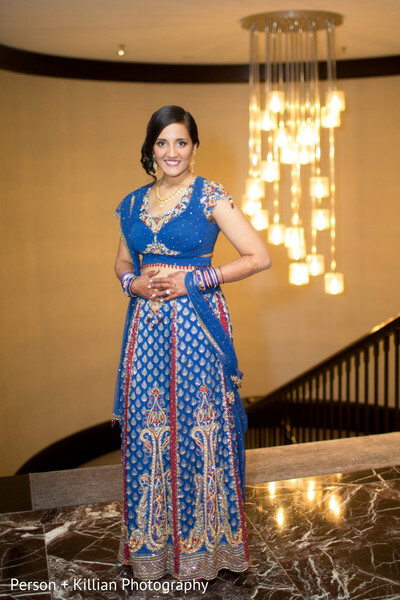 Maharani Shefali is a dream in a deep sapphire lengha and her elaborate mehndi designs are breathtaking. 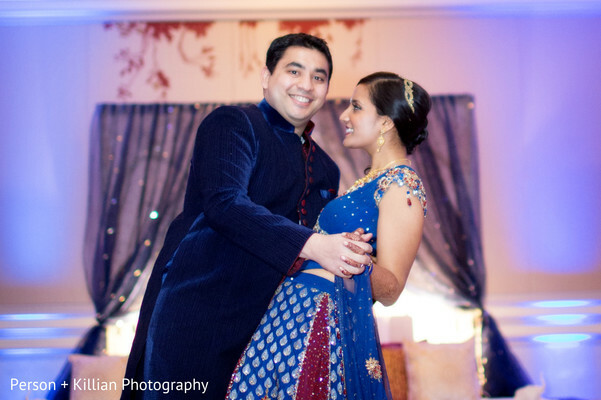 While our happy couple celebrates long into the night, I'm gonna do a lap through the gallery! "Dinesh and I were living across the country (him in Boston and me in SF) when he came to visit me for a weekend in December 2012. He had planned a weekend getaway and was keeping all the details a secret. 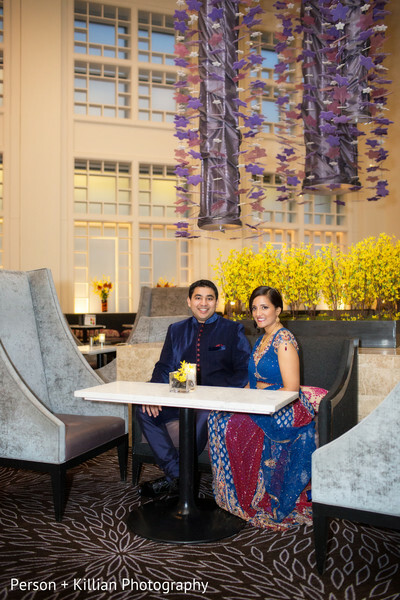 I had no idea where we're going and was shocked when we flew to Southern California and for a stay at the Ritz Carlton in Laguna Niguel for a weekend of relaxation and pampering. He had planned every detail so each part was a surprise. Saturday he insisted on going for a walk along the beach. Though I suspected something I had no clue about what Dinesh had in store. We walked to the top of a hill where in gazebo overlooking the Pacific Ocean he proposed at sunset. I was surrounded by rose petals and lanterns. He even had arranged for the hotel to take pictures as it all happened. It was like a scene out of a movie and I couldn't be happier to spend the rest of my life with my best friend!" 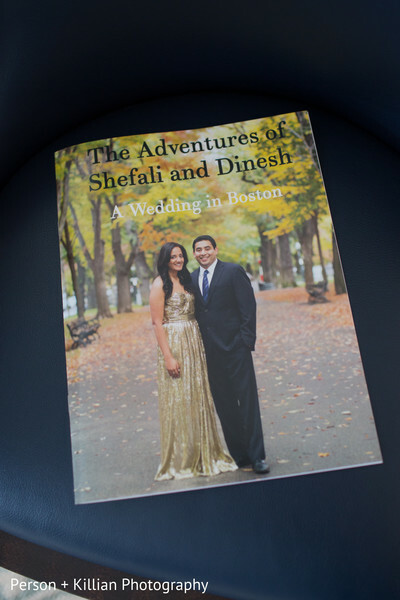 "I wanted a glamorous Indian wedding with a classic Boston feel. 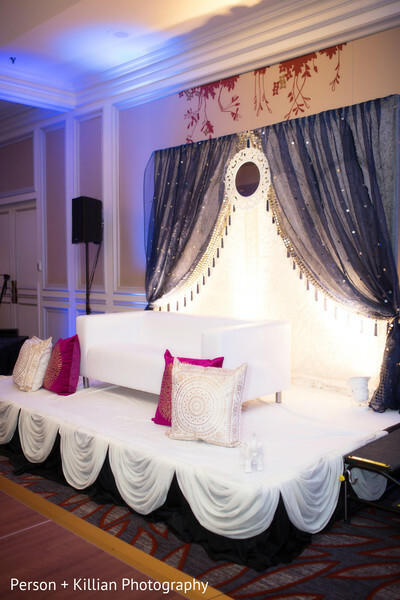 We decided to have our Sangeet at the Hyatt Regency in Boston because we loved the modern, light and airy look of the ballroom. 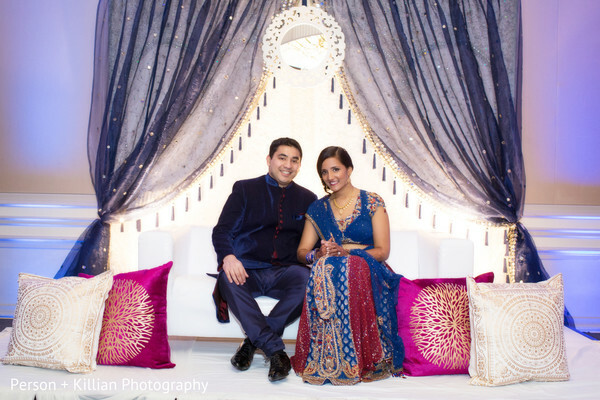 Instead of traditional Sangeet colors I went with whites, silvers, and bright blue. To keep with the modern look I rented white lounge furniture. 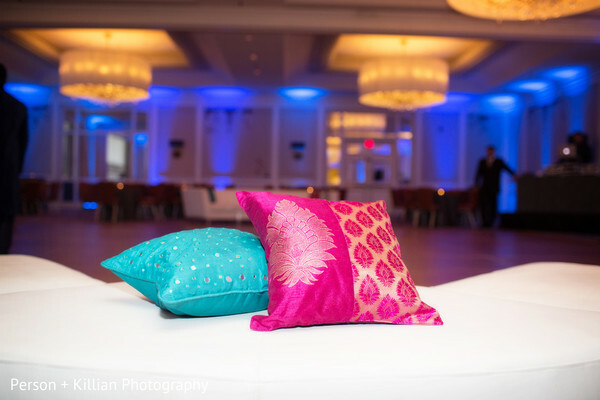 I bought pillow covers in India in pink, silver and turquoise to add a pop of color." 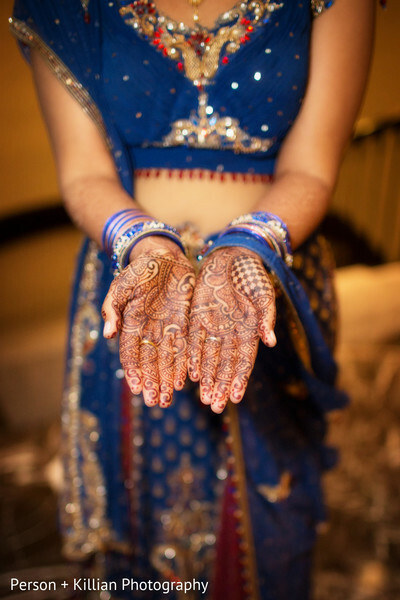 Our bride is about to get all dolled up, so come right back! Unique Weddings by Alexis is a member of the Platinum Guide. Love what you see? Explore their portfolios.